Help us to launch the first 3D printed pedagogic workshops to understand the technologies for the environment and healthcare. 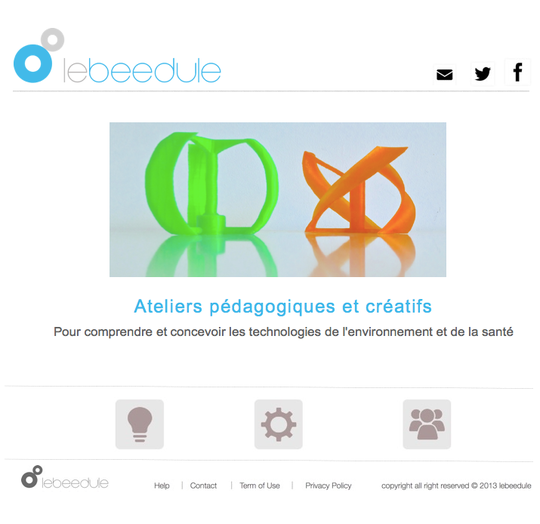 We design, 3D print, and give free access to pedagogic workshops. 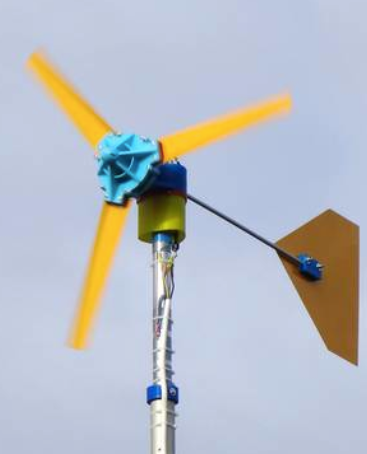 For kids from 6 to 116 years who have stars in their mind and who want to retroengineer, to build and use windmills, hydraulic systems, Stirling motors … and understand the way they work. Hello everybody, my name is Sebastian. 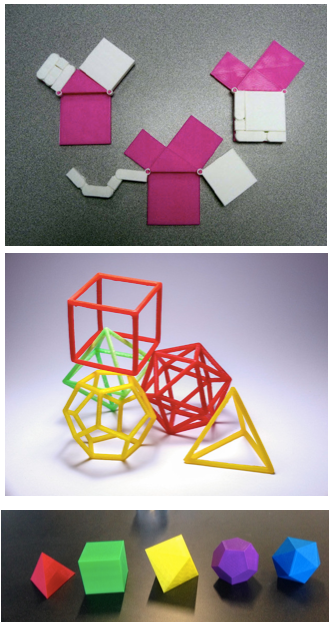 Some years ago, I begun to 3D print geometrical shapes, puzzles, spin tops, in order to teach my daughter fundamentals of science and engineering. Thus, I decided to develop pedagogic workshops for kids, where they could manipulate, understand and create 3D printed prototypes. Of course in the fields of environment and healthcare technologies ! We tried our first workshops during the « Remue Méninges » event the 22-25 April 2014. With the very kind support of Clélia, Harisoa, Clément et Alexis PhD of CERMAV. Many kids from 6 to 11 came to draw and make 3D shape cubes, pyramides, polygones… We also explain the kids the action/reaction principle through manipulating an air propelled car. This experience has been shared during the « Forum des projets » organized by « Echosciences Grenoble ». 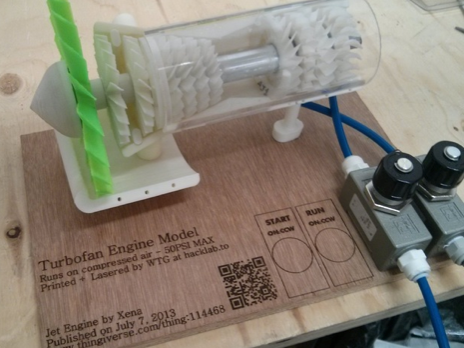 Last month, we were at the Grenoble Mini Maker Faire, 3-4 october 2015. 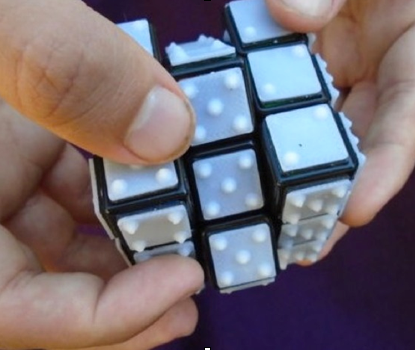 During these 2 days, the kids were very happy to build, manipulate, test and understand how technology could help. 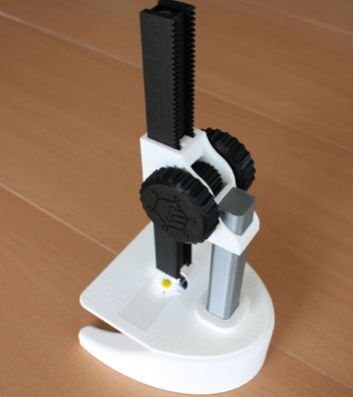 For that we 3D printed windmills, microscope and a protestic hand. A big thanks to the « Casemate, CCSTI de Grenoble ». We also had the opportunity to collect many positive feedbacks, that give us the motivation to go further. Further, what does it means? We would like to make much more and more sophisticated workshops and give a free access for schools and fablabs. 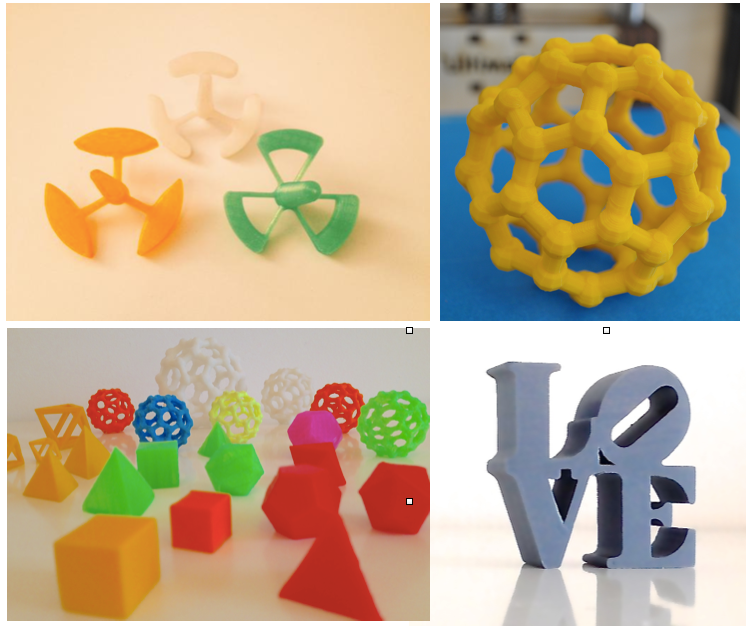 (3D printed prototypes, .stl files, scientific explanation, news stream concerning 3D printing). We would like to continue to collect .stl files (3D numeric files) and news in order to publish them on our internet website, Facebook and twitter. Finally, we would like to participate to education workshops, make partnerships with professionals of education and publish a pedagogic book. What about the workshops ? 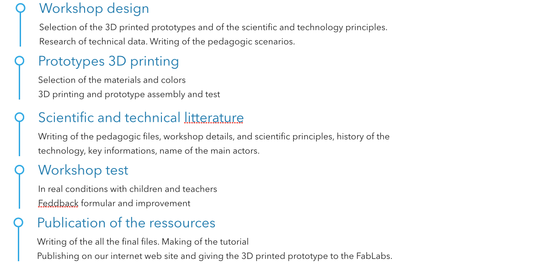 We plan to create 6 workshops, with technical, scientifical and pedagogical files, .stl files, and 3D printed prototypes. How to have access to our ressources? 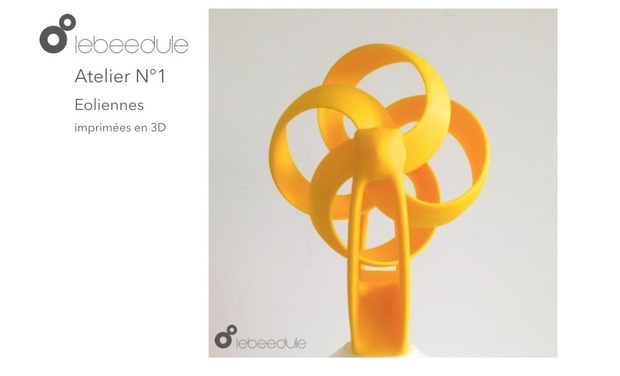 By coming to us at the Grenoble FabLab, we would be very pround to show you and give you our workshops. Maybe we would be happy to send them all around the world !? 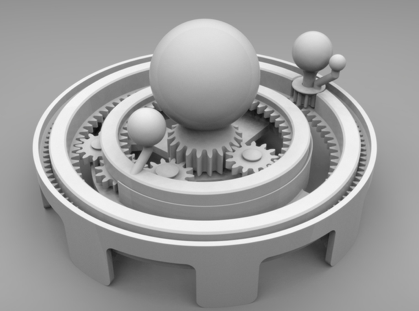 :) If this first crowd funding give us the opportunity to make a huge quantity of 3D prints. What would these workshops bring ? Firstly, our workshops are designed to have fun, in groups of creativity. They also bring the understanding of technologies and an awareness massage concerning the the environmental and healthcare challenge of our society. 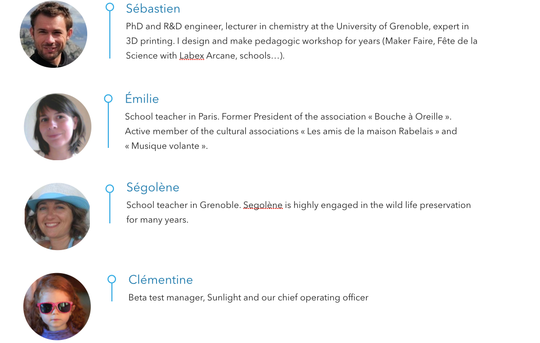 It's a team of school teachers with Ségolène et Émilie in Grenoble and Paris, Clémentine Beta-test manager and myself PhD in chemistry and R&D engineer. 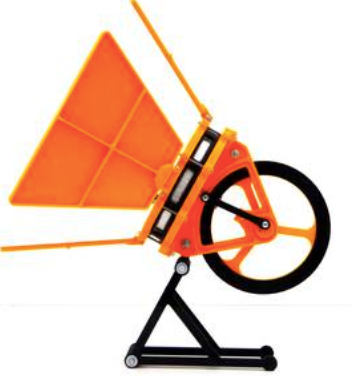 Crowdfunding, yes you can, but for what !? 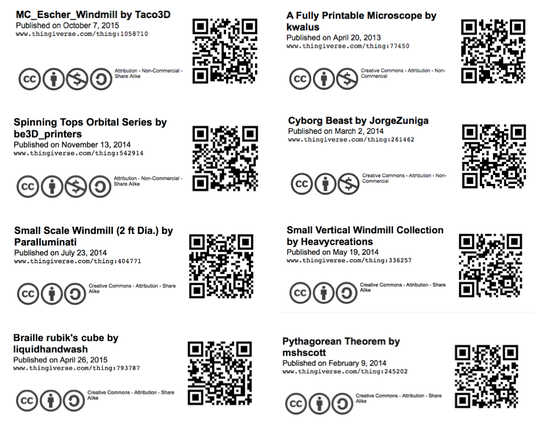 We need your help to launch our 6 first free access workshops. After one week of crowd funding the situation already change ! A BIG THANKS to all our crowdfunders of this first week and of their confidence. 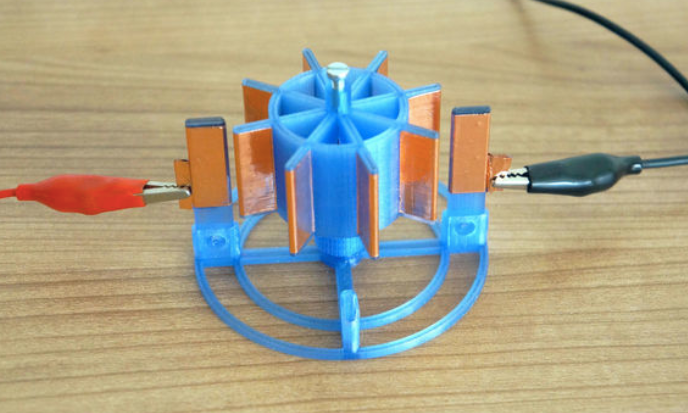 ALSO, thanks a lot to Advanc3D Materials who gives us colorful PLA filaments. Bravo ! 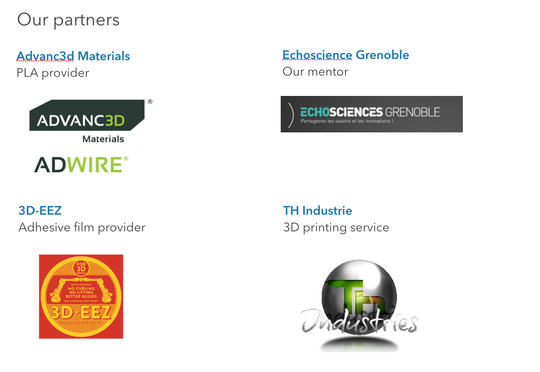 It's the minimum to buy 3D printer, electronics components for the workshops and counterparts, the subscription to the Grenoble FabLab, and the improvement of our website and hosting. We would subscribe to a coworking place in order to be in relation with marketing professionals and to work to the publication of a book. We would buy a second 3D printer and make MORE workshops, MORE beautiful with MORE colors and to give them to MORE kids. By talking about LEBEEDULE around you. We would be very pleased ! We are also looking for a graphist, a community manager and many kids to tests our workshops.